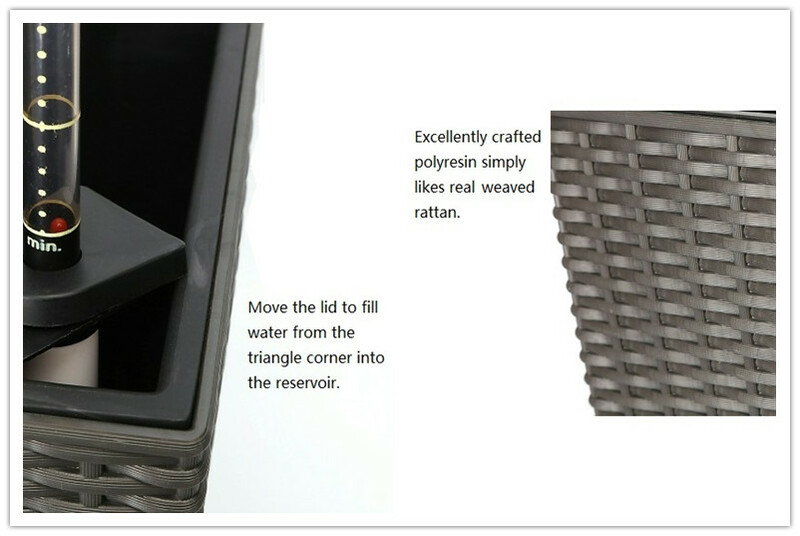 Graceful polyresin planter in appearance of weaved rattan with a liner and an unique permeation self-watering system. 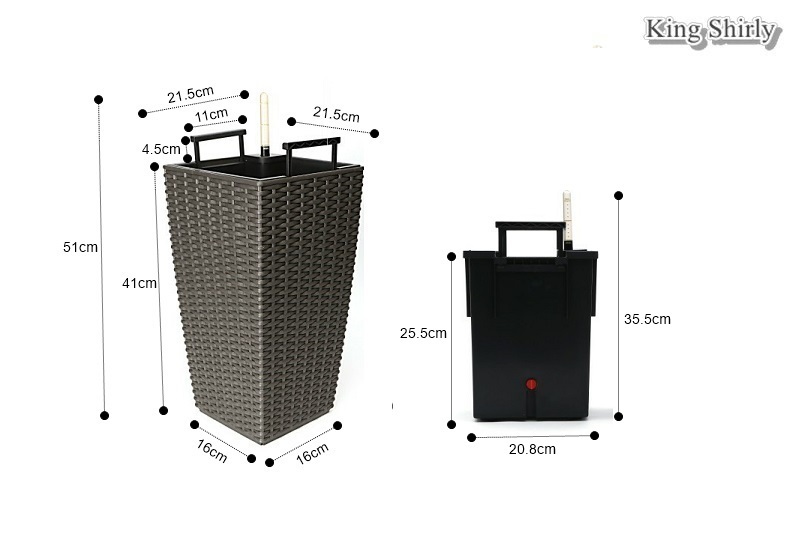 Medium tall size. 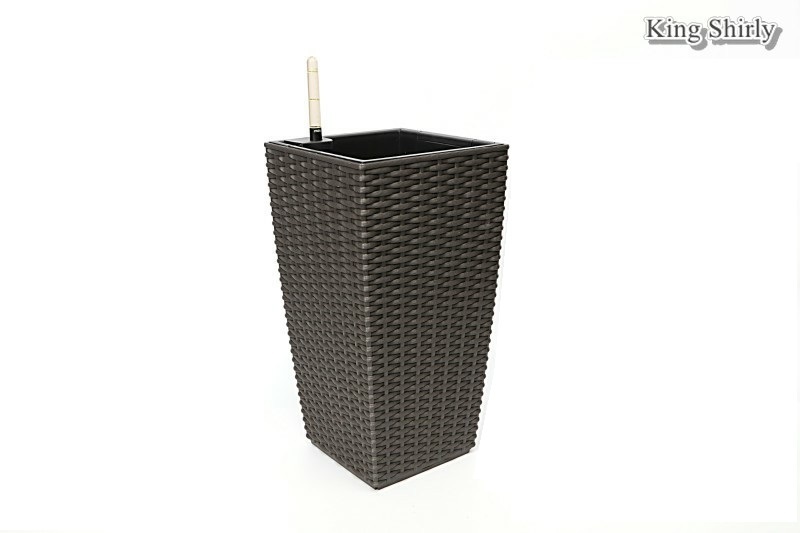 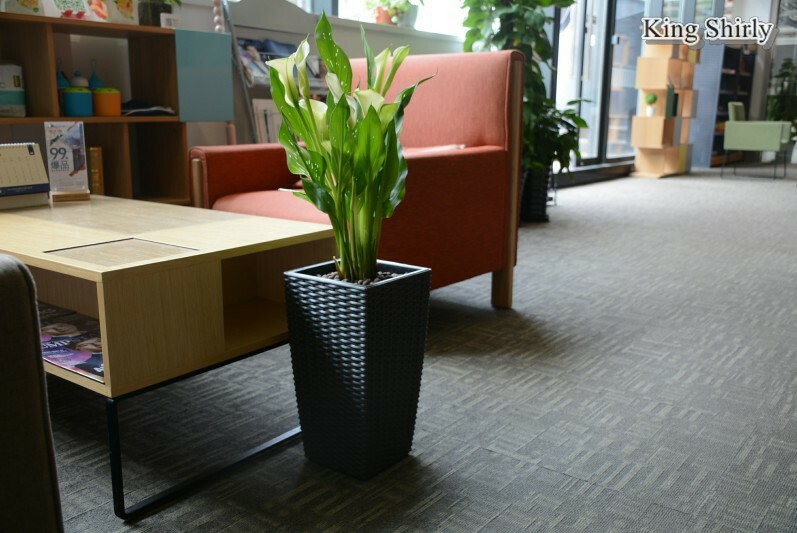 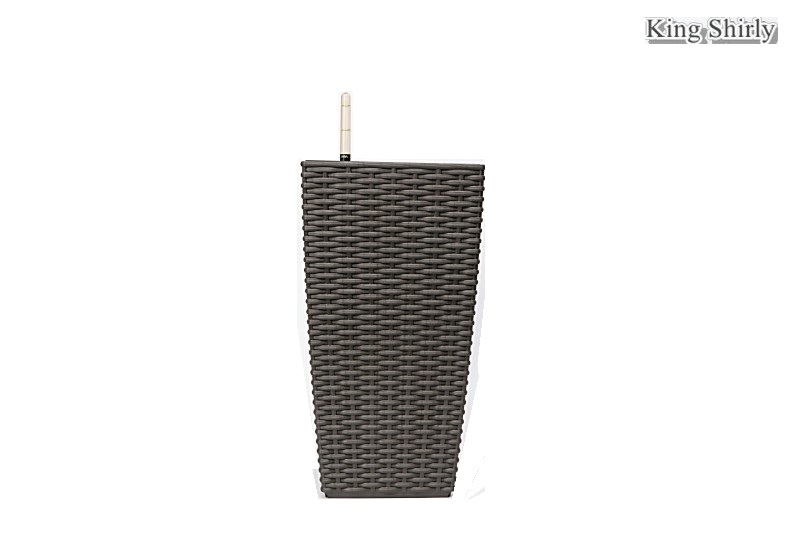 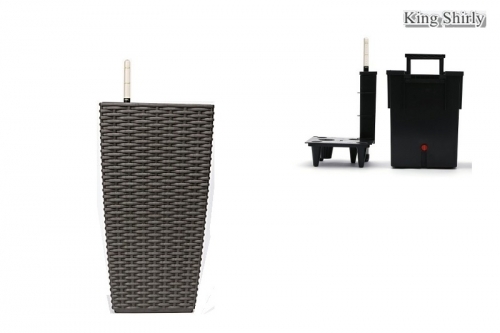 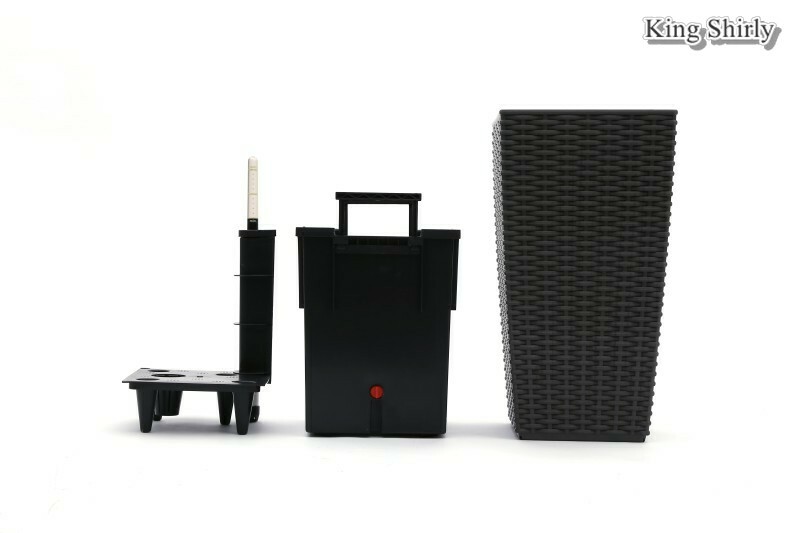 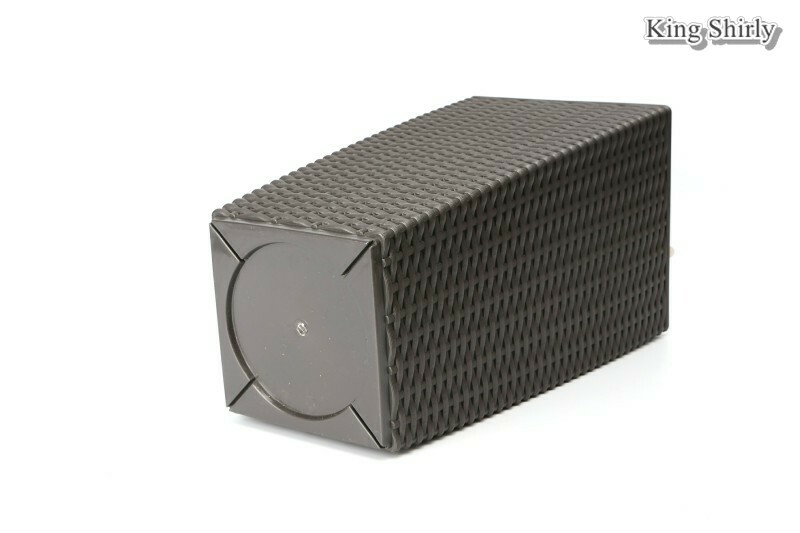 This graceful square planter is made of high quality and eco-friendly polyresin in appearance of weaved rattan.It has a unique permeation self-watering system,a liner with 2.1L big capacity reservoir to supply planters with long lasting nutrition, a water level indicator to display when and how much to water, and a vertical corridor passing through the reservoir for refilling water or fertilizer from the top vent to avoid flood by watering directly to the soil. 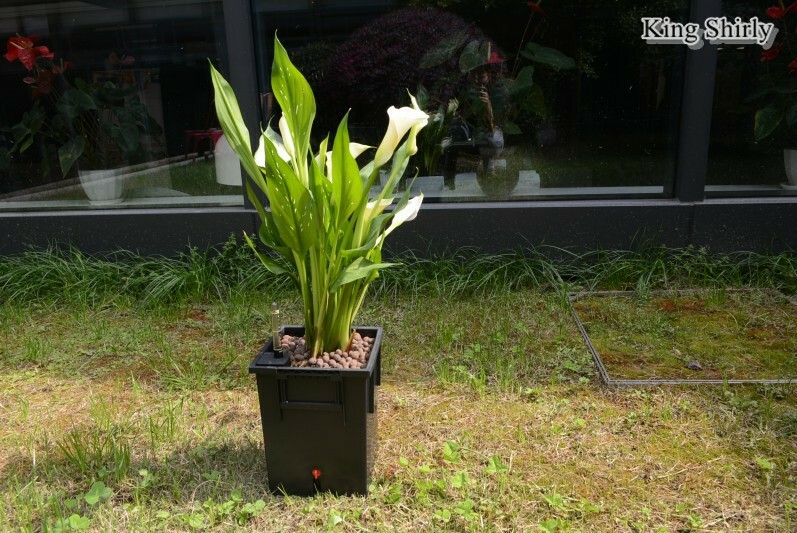 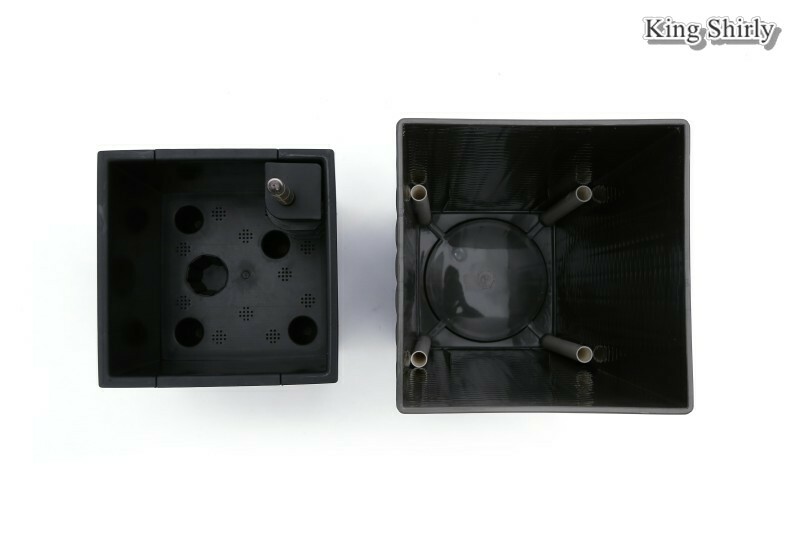 Though the pot is mainly intended for indoor use, plants with the liner can be taken out for a bath in the sun and rain and there's a hole plug on the liner for drainage. 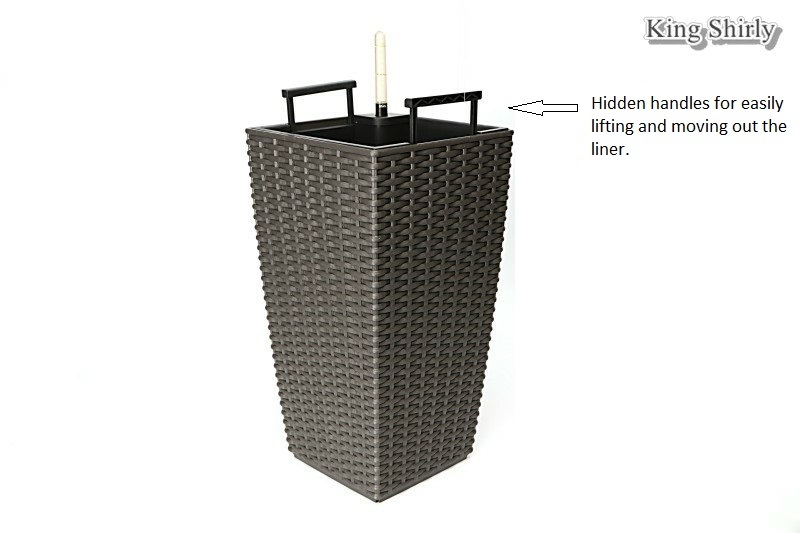 Two hidden handles for easily moving out the liner. 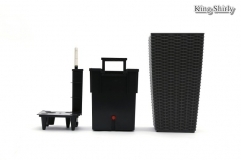 8.5in caliber and 16in in height.